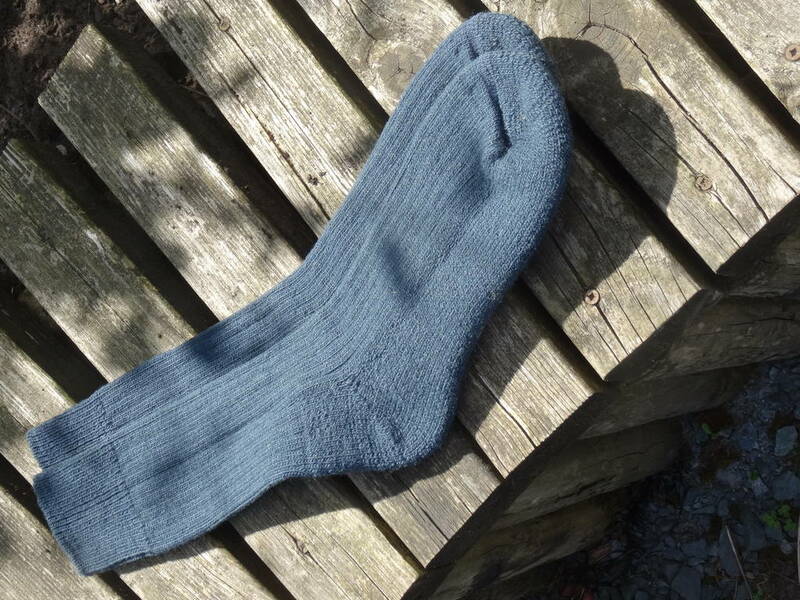 Cushioned walking socks knitted in England from British wool. Our socks are made for walking. Whether you're hiking in the hills or standing all day in cold places, if you want your feet to be warm and comfortable then try our socks. They're soft to begin with but get even softer as you wear them. 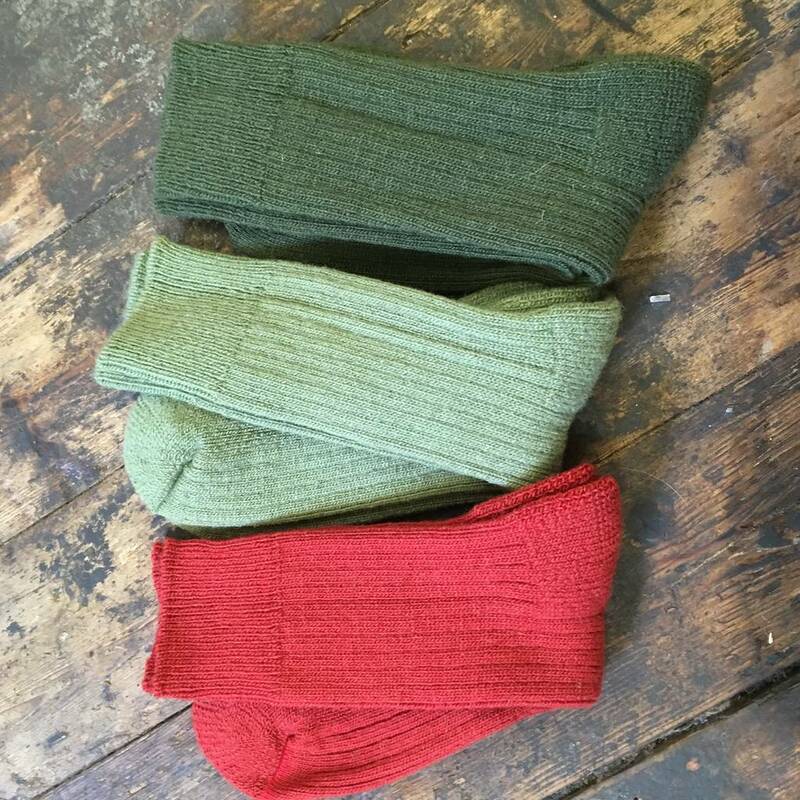 Made for a life in walking boots and wellies, these are good 'old fashioned' walking socks made from as much wool as we can pack into them. We source the wool for our socks directly from farms in the Yorkshire Dales and have it spun and dyed to order in West Yorkshire and Scottish Border mills. 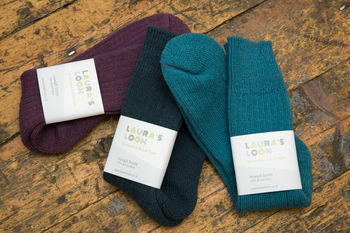 The socks are knitted for Laura's Loom in Leicestershire, the heartland of the British sock industry. 80% British wool plus 20% nylon for structure, stretch and stability. 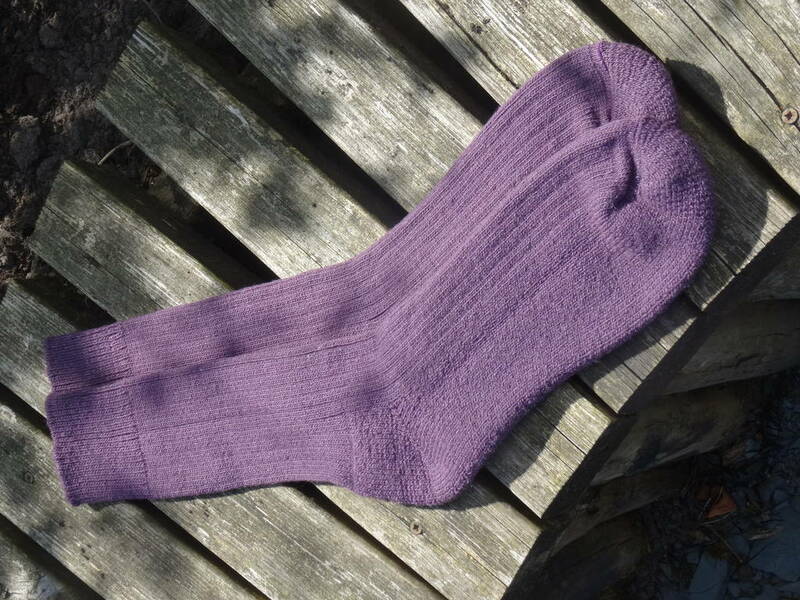 Machine washable on gentle 30C wool cycle. Do not tumble dry. 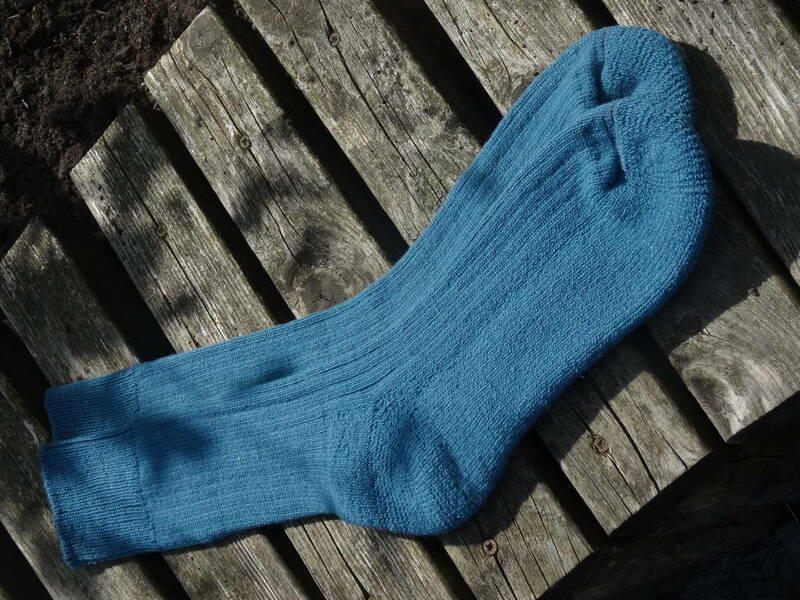 Our socks are not pre-shrunk so they will appear a little on the large side until they have had their first wash.